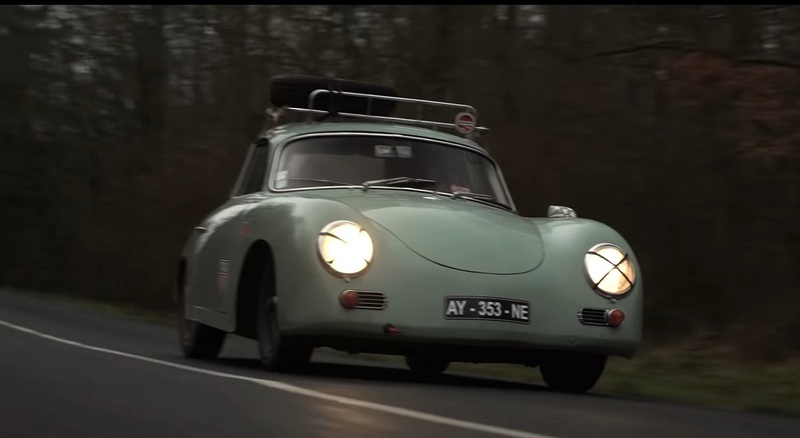 In this new video from Petrolicious, a French father and son team show off their oddly beautiful 356A coupe. This car was a literal 'barn find', which they tracked down by following a leaking vehicle back to a tractor collector's farm. They managed to get the tractor man to sell off his old long-dormant Porsche, but he would only sell it in a bundle job with the other two dilapidated cars in his barn. Why take on one project when you can get three dumped on your head all at once? Focusing solely on the A coupe, this is the end result of that journey. It is important to note that, unless you're fluent in French, you turn on the closed captioning to enjoy English subtitles. I'd have a hard time restoring a Porsche on my own, let alone working with someone else. Clearly this father and son team are immensely patient with each other, and the finished product is a testament to that. When they took delivery of the cars, the package deal came with about 20 boxes of spare components, which took the pair over two weeks to sort through. Everything from the bodywork to the exhaust note are perfection now, but it's been a long road to get here. Auratium Green over a mocha and tan trimmed interior is an excellent combination, too. From the outside, you can see that this 356 means business. With a few motorsport-inspired decals, a roof rack with a spare tire mounted up top, a Sebring-style exhaust on the 1600cc engine, and a flip-top fuel filler, it's clearly taking bits from Porsche's history to combine into its own aesthetic. And it works to great effect, as the look is cohesive and interesting. You wouldn't confuse this Porsche for any other when you see it on the street, and it would even stand out from a row of 356s. Brings a tear, eh? Seven years of patience for a terrific result…they must be very proud!